A lawsuit filed by a man accused of killing an Indianapolis Metro Police Department officer has been thrown out by a federal judge. 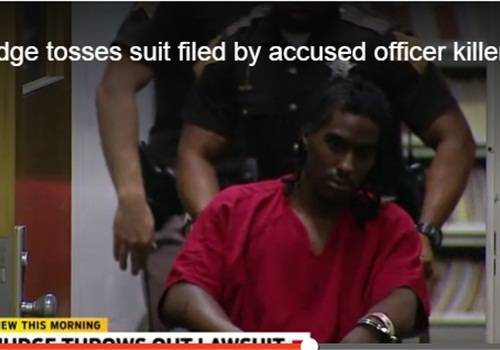 Major Davis II was seeking millions of dollars, claiming officers used excessive force during his 2014 arrest. Federal Judge Tanya Pratt says Davis failed to identify a viable defendant, therefore she dismissed his $2.3 million lawsuit that was filed last month. The lawsuit was against Mayor Joe Hogsett, IMPD, former police chief Rick Hite and Officer Perry Renn, whom Davis is accused of killing back in July 2014. A second officer was also included in the suit, WISH TV reports.